Craftster Community > ORGANIZED CRAFT SWAPS > The Swap Gallery (Moderators: rackycoo, loves2experiment, alteredmommy, SevsOnlyGirl, cackle) > Chunky Book Page Swap Gallery! 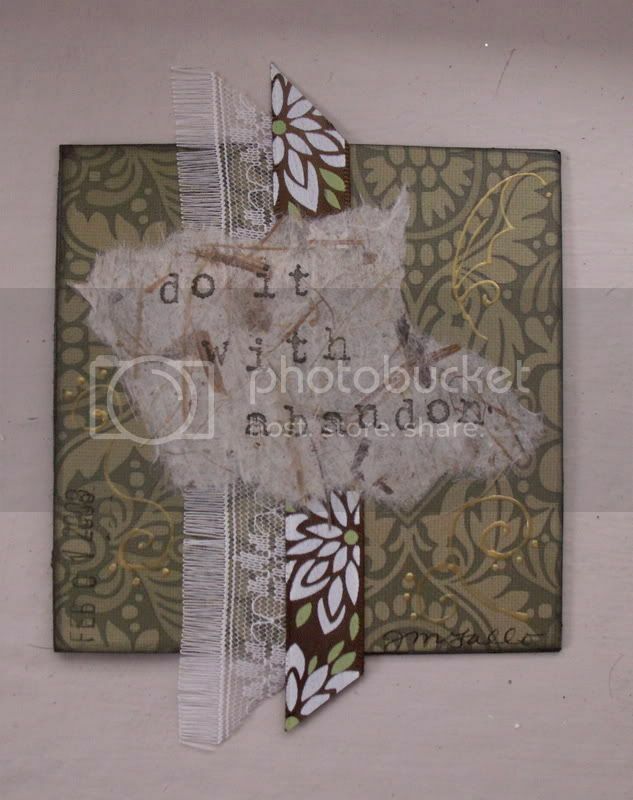 Chunky Book Page Swap Gallery! The first page has been mailed, so I'm starting the gallery. I can't wait to see what you all make! 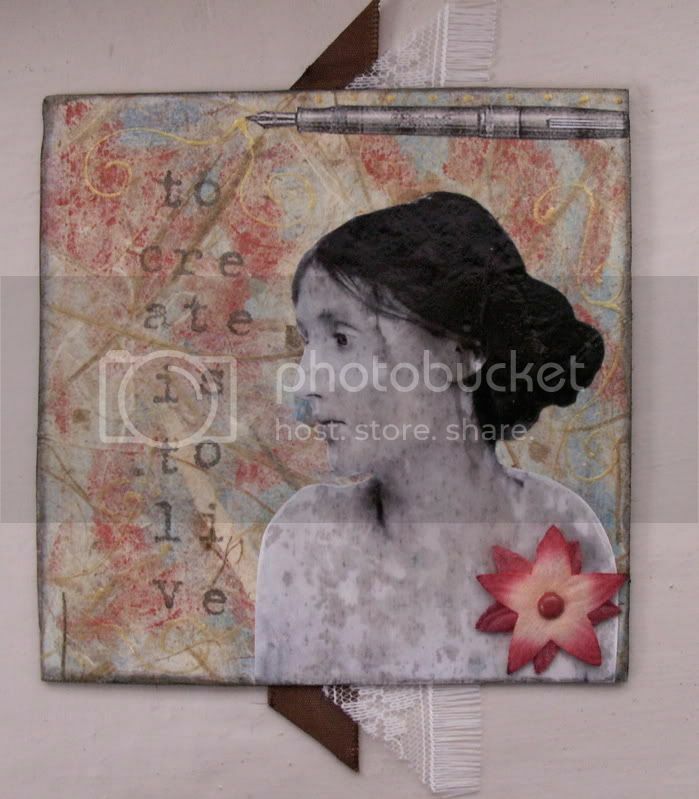 Re: Chunky Book Page Swap Gallery! Thanks so much! I love that - "do it with abandon". The images and background are lovely, too. My page is on its merry way. I hope you like it! Banga, that page is gorgeous -- a perfect start to our gallery! how very cool - nicely done! I really like the way the ribbons extend off of the page. That's the clear embossing liquid, which I accidentally squeezed everywhere. It is meant to go on as a thin layer, but I had a huge oops, and it soaked the image in places! That's what created the blotchy coloring. I think it's my favorite mistake so far with the stuff! p.s. glad you guys like the image, you'll be seeing a lot of her! Huge oops can be good things!